Many remarkable clergyman have served the Russian Orthodox Church in the Australian-New Zealand Diocese. The following biographies of a number of them - based in part on material in Mitred Archpriest Michael Protopopov's book, A Russian Prescence: A History of the Russian Orthodox Church in Australia (Piscataway, New Jersey: Gorgias Press, 2006) - are provided here in order that the faithful might remember them in prayer and be inspired by their example. This information is current as of 7 February 2018. New material will be added from time to time. Rostislav Adolphovich Gan was born in China in 1911. In 1933, aged 22, he completed both the Harbin Theological Courses and his engineering studies at the Harbin Polytechnic Institute. In February 1936, aged 25, he married Sophia Konstantinova Yumina, and that month he was ordained deacon and priest by Bishop (later Archbishop) Juvenaly (Kilin) and appointed to a parish in Shanghai. From 1936-1953 he served in various parishes and church institutions in China, taking an active role in the teaching and publishing work of the Church. In 1953 he emigrated to Australia and was appointed rector of the Holy Protection parish in Cabramatta. In 1957 he began the project of building a new church, a project essentially completed by 1973. His dream of frescoing the church was realised after his repose, during the years 1980-92. 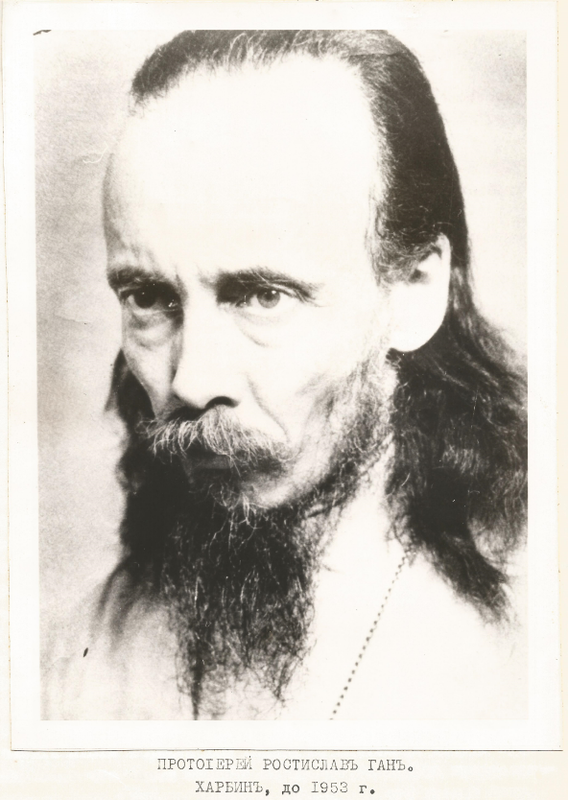 In Australia Father Rostislav was particularly active amongst the youth, teaching in schools and organising youth activities. He was a dedicated pastor, visiting prisoners and the sick, assisting in the resettlement of Russian refugees, and finding time for everyone. A noted liturgist, he wrote many articles for "Pravoslavnaya Rus'" in addition to books published by the Holy Trinity Monastery in Jordanville. He reposed whilst undergoing heart surgery in 1975, and a great mass of people gathered to pray at his funeral. Dedicated to Christ and His Church from his youth up, Father Rostislav inspired a whole generation of clergymen in the Australian-New Zealand Diocese, and his memory is revered to this day. Nicholas Nikolayevich Grant was born in Morocco on 1 April 1934. He was from the Russian aristocratic family of Somov, but in Australia his father changed the family name to Grant to avoid the attention of Soviet agents. He was educated in Paris and in Munich. His mother died in 1945 and in 1950 father and son came to Australia, settling in Sydney. In 1969 he married Nina Pavlenko and in 1974 he was ordained deacon by Archbishop Theodosy (Putilin). He was ordained priest the following year and became the rector of Saint Vladimir’s, Centennial Park. He was appointed Diocesan Secretary by Archbishop Paul (Pavlov) and served in this capacity – with Matushka Nina as his assistant – for ten years. He was active in the life of the Russian Orthodox Church in Sydney from his teenage years, well-known in the Russian community, and widely respected. He reposed following heart surgery on 14 February 1995. Mikhail Fedorovich Klebansky was born in Barim, China, on 15 June 1936. After completing his secondary studies he worked as a fitter and turner and later, after his arrival in Australia on 1 April 1962, as a toolmaker. On 21 April 1963 he married Natalia Dimitrievna Kuzora. In time they would have three children: Elizabeth, Anna and Mark. After studying theology under the guidance of Archpriest Rostislav Gan Father Michael was ordained to the diaconate by Archbishop Sava (Raevsky) on 14 July 1963 and appointed to serve at the Intercession of the Holy Virgin parish in Cabramatta, NSW. On 24 January 1965 he was ordained to the priesthood by Metropolitan Philaret (Voznesensky), continuing to serve in Cabramatta. From 1967 Father Michael was entrusted with the care of the Dormition of the Mother of God community in Wollongong. He later served at the Saints Peter and Paul Cathedral in Strathfield, Saint Vladimir’s Church in Centennial Park, the Archangel Michael Church in Blacktown, the Archbishop’s Chapel of All Saints of Russia in Croydon and at the convent of our Lady of Kazan. He was awarded the gold pectoral cross in November 1973. Following the repose of Father Rostislav Gan in 1975 he returned to Cabramatta. In October 1978 he was elevated to the rank of archpriest. In December 1981 Father Michael was appointed rector of Saint Nicholas Cathedral in Brisbane and given responsibility for the Saints Kiril and Methodius Mission on the Gold Coast. He was appointed Dean of Queensland in 1991. After retiring from parish work in 1996 Father Michael served briefly as confessor to the Russian Ecclesiastical Mission in Jerusalem. He later returned to Australia and, resuming parish work, from April 2007 was the Rector of Our Lady of Vladimir parish in Rocklea. In December 2013 he was awarded the mitre for his long and faithful service to the Church. Father Michael served the Australian-New Zealand Diocese as a priest for over fifty years. 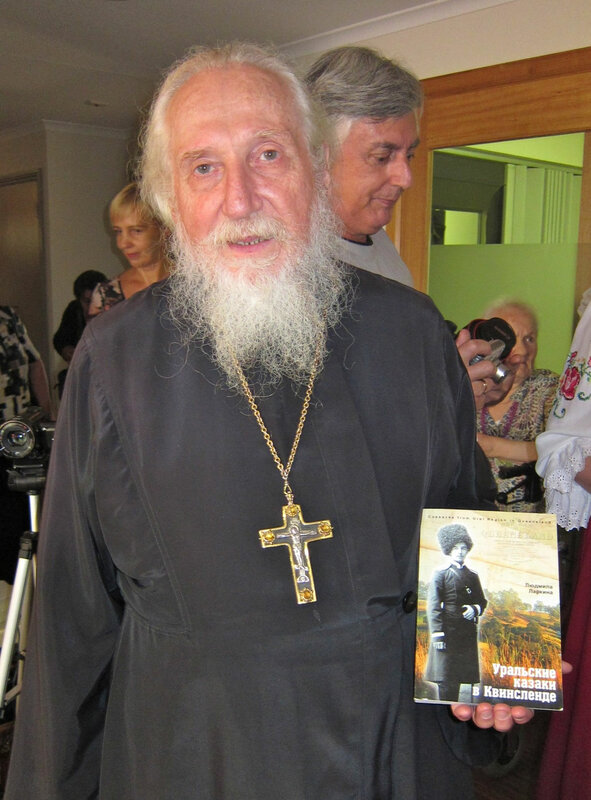 During the difficult ten-year period in Sydney from the late 1960s when schism and the repose of the older generation of priests troubled the Russian Orthodox community, Father Michael ministered faithfully in almost every parish of that city. He went on the serve for over thirty-five years in Brisbane. Following a lengthy illness he reposed peacefully on 12 May 2016, one month short of his eightieth birthday. May God grant him rest with the saints! Michael (Feng Ci) Li was born in Peking (Beijing), China, on 28 January 1925. He was the oldest of six children of Gregory and Alexandra Li, both of whom had been adopted by the Russian Ecclesiastical Mission in Peking and had grown up within its confines. After completing his secondary studies he enrolled in the Mission’s Theological School in 1948. In 1949 he married Anna (Shirong) Liu. In time they would have four children: Nina, Olga, Peter and Paul. On 24 June 1950 Father Michael was ordained to the diaconate by Archbishop Victor (Svyatin) of Peking and in August of that year he was ordained priest. From 1951 until 1966 Father Michael served at the “Surety of Sinners” Cathedral in Shanghai. In 1966 he was arrested and sentenced to a long period of hard labour and “re-education”. During this time Father Michael served in a quarry and was obliged to excavate one ton of stone each day. Deprived of everything connected to his priestly ministry, unable to serve and prevented from speaking, he nevertheless endured. He would later relate how he prayed quietly during this time, remembering particularly the hymns of Passion Week – “Noble Joseph”, “Thy Bridal Chamber”, and others. Upon completion of his sentence in 1986 he began to serve at the Holy Protection Church in Harbin. His circumstances nevertheless remained difficult. 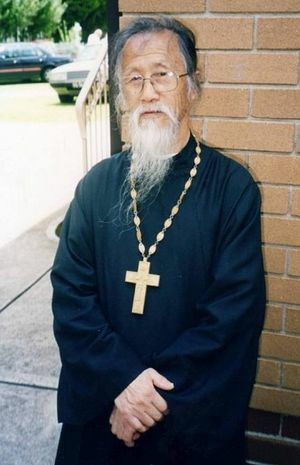 After meeting then-Archbishop Hilarion (Kapral) in 1997, he was invited to Australia. Arriving on 3 May 1999 he took up work with the Russian-Chinese Orthodox Mission and was assigned to the Archbishop’s Chapel of All Saints of Russia in Croydon, NSW. Greatly loved by the clergy and the faithful of Sydney for his simplicity, humility, and purity of heart, Father Michael received a number of ecclesiastical awards after his arrival in Australia: the gold pectoral cross in September 1999, the rank of Archpriest in June 2000, the palitsa in July 2002, the jewelled cross in May 2006, the mitre in December 2006, and the right to wear a second pectoral cross in June 2010, the sixtieth anniversary of his ordination. In 2012 Father Michael and Matushka Anna travelled to Hong Kong and took part there in celebrations marking the three-hundredth anniversary of the Russian Ecclesiastical Mission in China. In 2015, in view of his long and distinguished priestly service, he was awarded the Diocesan Cross, the highest award of the Australian-New Zealand Diocese. Father Michael reached the age of 91 in January 2016. His health having been in decline for some time, he said to many that the time for him to depart to the Lord was rapidly approaching. He reposed on 12 May 2016. May God grant rest to this righteous confessor of the Orthodox faith!